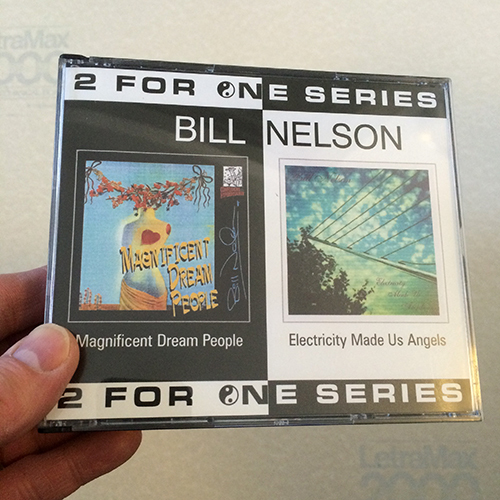 www.billnelson.com • View topic - Deep Dream Decoder and Buddha Head Spares: Interested? Deep Dream Decoder and Buddha Head Spares: Interested? Post subject: Deep Dream Decoder and Buddha Head Spares: Interested? I have spare copies of these in single disc form. They are not taken out of the Secret Studio Volume 1 box set but I somehow ended up with duplicates having the box set. I'm really not interested in the money (but boy I could use some money!) and would consider swaps against merchandise or CD's that are only available at the BN personal appearance pre-launches or Nelsonica's. As previously posted in this sub-forum I have an extra copy of the Demonstration of Affections box set complete including the t-shirt. For that I would require something really special; such as as a legitimate copy of Blip! 2 to part with it (legitimate as in the launch party release and possibly signed by BN for verification it ain't fake). Post subject: Re: Deep Dream Decoder and Buddha Head Spares: Interested? One that Bill never knew was produced. And why in the world did they put those two discs together?